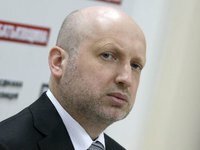 The Ukrainian government should be formed and approved on Thursday, Verkhovna Rada Chairman and acting President Oleksandr Turchynov has said. "I am instructing the formation of a national unity government on Thursday," he said at a parliamentary meeting on Tuesday. He said that the leaders of factions and committees should work on the formation of the government "day and night."